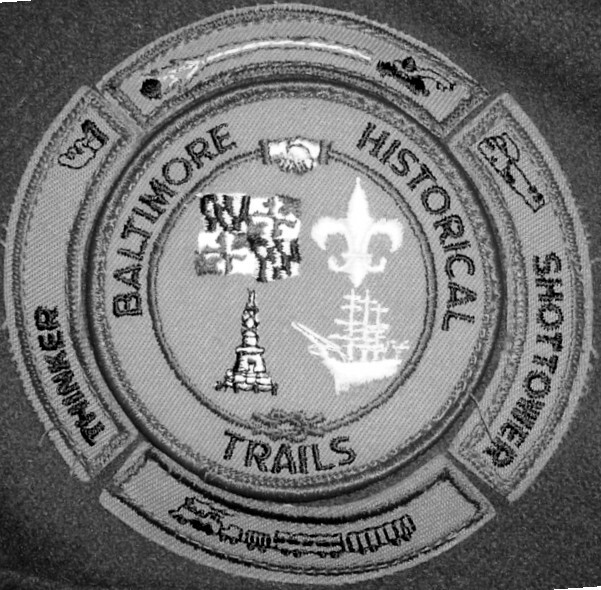 Baltimore Historical Trails, Hike # 4 - The "Thinker Segment"
In the "historic" hike guides, the Thinker is mentioned, as is the Poe statue. 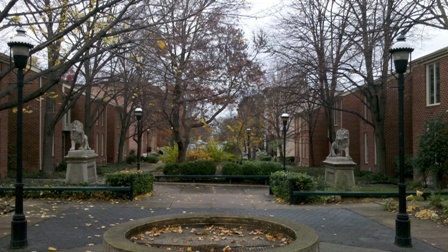 The former was outside of the Baltimore Museum of Art until 1971, while the latter was across the street in Wyman Park until it was moved to the University of Baltimore campus. The hike route, by coincidence, travels past the new home of Poe, and the Thinker being inside only prevents it being seen as easily as before. It's also prohibited to reproduce photos taken inside the museum, so the image below links from WikiMedia. My hike plan was easier to begin than the previous 3, because the Metro subway has just 2 stops between Mondawmin and State Center. The historic route went from the Key statue on Eutaw Street to the Baltimore Zoo. Retracing those steps seemed pretty simple, once I parked my car at the zoo lot. Recently, the Sunpapers had a story about street signs, mentioning the longest name is "Auchentoroly Terrace". And there it is (but Terrace is abbreviated...). The first leg of the hike started either at the Key statue, or the Lillie Carroll Jackson Museum, 1320 Eutaw Place. 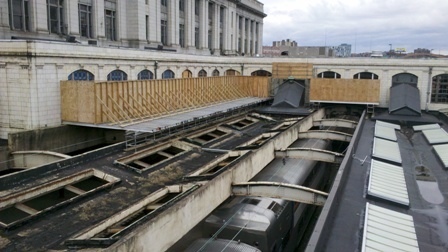 The (former) Jackson Museum site. Traveling east on Lanvale, per the hike guide. 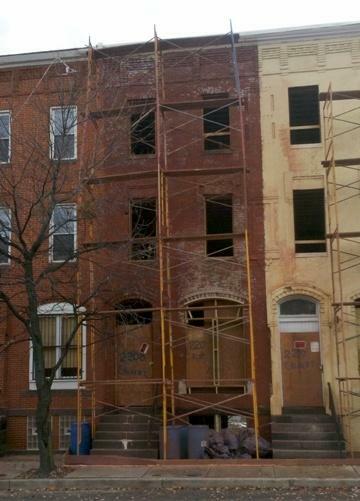 Sometime in the early 1970s (or late 1960s), the house on Lanvale Street were rebuilt, and the street blocked from entrance on Eutaw Street. I went past MICA (Maryland Institute College of Art; strangely, not mentioned in the historic guide), and then found the next monument listed - the Maryland Line statue. It's across from the old B&O railroad station, taken over by MICA in the 1960s. The old hike guide asks what the Maryland Line referred to, and when the battle of Brandywine was fought. No hints here. Then, past the Lyric Opera House, which is growing again, it seems, stopping by the Poe statue. At this point, the hike guide book goes a bit vague, suggesting that the next important historic building is way up on 22nd Street and St. Paul, ignoring the University of Baltimore, the Pennsylvania Railroad Station, and the historic City northern boundary (AKA, North Avenue). I took photos of several churches around North Avenue and St. Paul Street, or Calvert Street. It seems there are at least one per block. 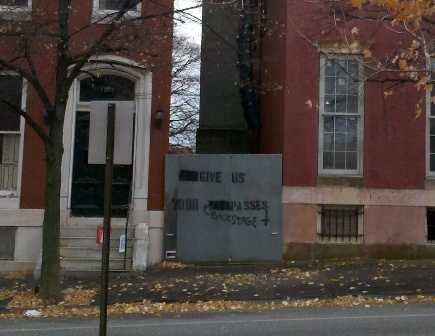 I recall visiting Seventh Baptist Church, which still looks open, if not thriving. 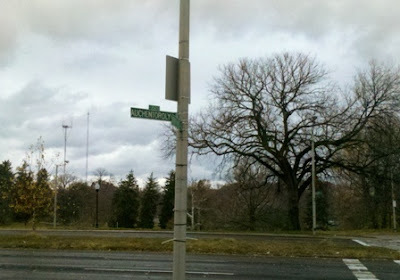 Oh, and King and Kennedy Park. I strolled by, but there are no historic markers, at least on the main site. 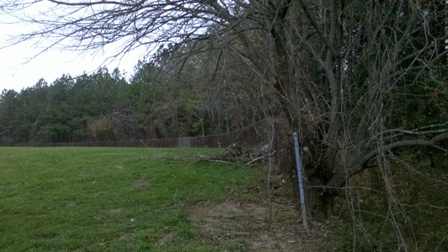 I didn't look closely at the eastern edge, which contains a fenced-off playground space. After that stop (I'd been inside for a good friend's wedding, in a prior century), I took the parallel route of Calvert Street, shooting photos of a few boarded up houses along side those with decent looking domiciles. After the Penn Station area, it was up to the Charles Village haunts of my undergraduate era. I'll skip the "when I was there" stories, and jump straight to the Baltimore Museum of Art, or the focal destination of the Thinker Segment. I observed the Thinker statue, by Rodin, and a few other BMA gems, including trophies from the 1935 Kentucky Derby, the Belmont Stakes, and the Triple Crown itself. Why the Preakness Cup for that year was not on display is a mystery. Unfortunately, vandals have removed the inscription from a Hopkins class (I believe it was 1970, since I saw it on the north end of what was then the lower quadrangle in the early 1970s). It's a shame that it was banished from a prominent location; but perhaps it was intended to be an elevation, taking it closer to "real" art in the Museum, and sculpture valley. Who knows? The old hike guide asks questions about statues in the park. Here's a hint - one is for the Union, and the other one isn't. The Poe statue, if it were still there, would have predated the conflict. Or, his life did; maybe not the statue. Instead of sticking to Wyman Park Drive, I wandered behind the old School of Public Health, which now seems to be crawling with Johns Hopkins outposts, though it did appear to still maintain some aspect of public-facing service. OK, they weren't putting up aluminum siding, but it's pretty close. Lastly, after passing the Scout building, and crossing the Jones Falls, as well the Expressway it's named after, I walked around the north side of Druid Lake. I thought it was pretty cool that there was a working water fountain, right next to the largest water supply reservoir in the city limits (the reservoirs in the county are owned by the city, but they are in the county). 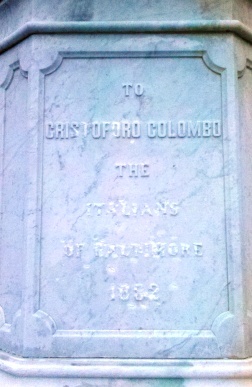 When I was young, this memorial was placed in Herring Run Park, by Harford Road and Argonne Drive. I wondered where it had gone to, as I noticed decades ago that it wasn't where it had been originally. On close inspection, part of the dedication has been vandalized. 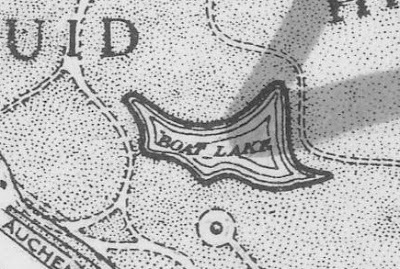 Per an old map I have (published 1957), the lake is known, or was known, as Boat Lake. I wonder how long it's been since people rowed on it? The links on the photo (before the map) will show this shot is on the north side. The latest Google maps show there are paths around both sides of the lake that will take you to the Zoo parking lot on the west side. However, it turns out there are fences that block the north paths. So I had to reroute. Below are the links to photos on Panoramio, tagged with "BaltHistTrail4". You can't go back, or can you? Despite what the Eagles sang ("you can't go back, you can never go back"), you can, sort of, go back. Whether you should go back is another question. Carl talked me into a pre-Thanksgiving tradition, among classmates of the year I graduated Poly, meeting somewhere for drinks and food. I've been in occasional contact with Carl over the years, amplified lately by Facebook and some nostalgia, and some attitude adjustments. We were co-writers, along with Tom, of a high school musical, though we mainly wrote attempted jokes, and I did sneak one set of song lyrics in. The classes at Poly were, and mostly still are, stratified among A Course, B Course and T Course, though I think the names have changed. Certainly the luster has tarnished from the "Poly Seal" - as noted in the Sunpapers last August (letter to the Editor; original article not found). The Poly - City football game was held on Thanksgiving (that's today) for years, but has faded to an earlier time (see article). It's now only the private high schools Calvert and Loyola that rate the fan and media attention for such an occasion. Poly won this year, but who knew? I've only been to one reunion, and that was 5 years after I left school. The idea of getting together and reminiscing about the good times is strange, as I like to think the best times are ahead, not behind. The "A Course" was the top of the school, as demonstrated by academic achievements. Since that time, these graduates should have gone on to change the world. What I heard last night was some tales about the old days, some semi-boasts about offspring and careers, but not much about shaking the earth. I heard about fears of going into the city, the unhappy looks of people around Lexington Market, and the general sense that the world was "better then" than now. I'm not sure that I'll go back again. But I do thank Carl for extending the olive branch so I could see what's happened to the best of the best. 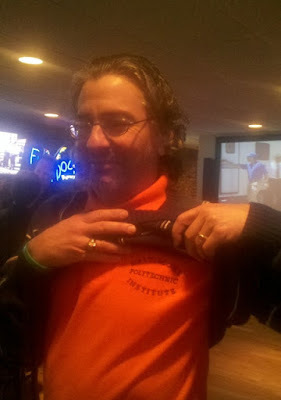 Danny demonstrates the school colors. He was even wearing the "Poly ring." 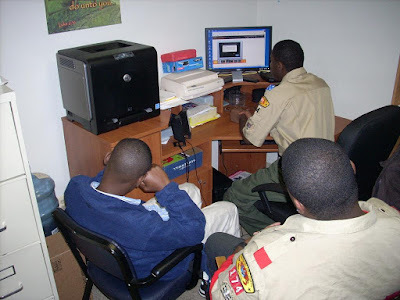 Post by Guest Authors - Boy Scouts Working on the Journalism Merit Badge. National Gaming Day was held on Saturday, November 13, 2010, for the youth and community to come together to play games at public libraries all over America. In Baltimore, children and youth volunteers who do community service played games at the Herring Run Branch of the Enoch Pratt Public Library, on Erdman Avenue in the Belair-Edison neighborhood. The librarians put out fliers in the community and posted it online. Then, on Saturday, they put out board games for children and families to play, such as Candyland, Monopoly, Connect Four, Chess and Checkers. They also had computer games to play. 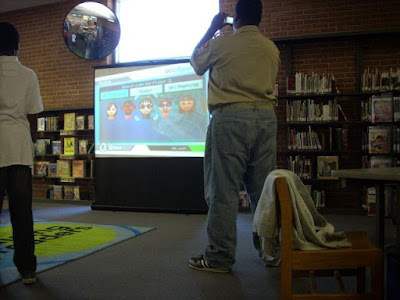 They put up a screen in the children's section of the library, with a projector, so the kids could play Wii games, such as volleyball and bowling. They also planned a matinee and popcorn. 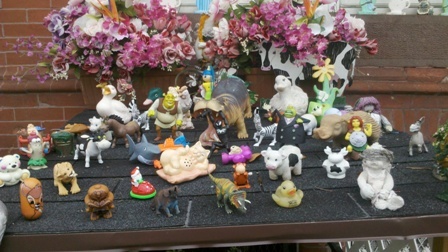 Some of the games used household materials. The children were stacking paper cups and plates as high as they could. You could hear a lot of laughter and see the cheerfulness. Cheryl Dishon, children services specialist, said, "National Gaming Day through the American Libraries Association is an effort to connect communities with the educational, social and fun aspects of games and playing board games together." "We're trying to get our neighbors to come in and enjoy the library beyond just researching and looking for books to read." Most people think of the library as a place for school or learning or information. This library is participating in National Gaming Day to bring more people in to the library to play games and get on the computer. At this library, you can play games in the library but you can't borrow them to take home. This library has movies that you can check out for seven days for $1. Patricia McLaurin, a mother of two children, came to use the library to check out some books and movies, and saw that games were being played. She said her children had fun. Also participating at the library was Jordan Bell, a seventh grader, who is doing community service by playing games with the kids. The Belair-Edison neighborhood Herring Run branch library celebrates their annual National Gaming Day on November 13, 2010. Poonam Mukherjee, librarian team manager, likes National Gaming Day because it brings families together and encourages people to come again. The library provides games for patrons to play for free. There were board games such as the most popular "Wits & Wagers" family game, video games like Nintendo Wii sports and PC games. 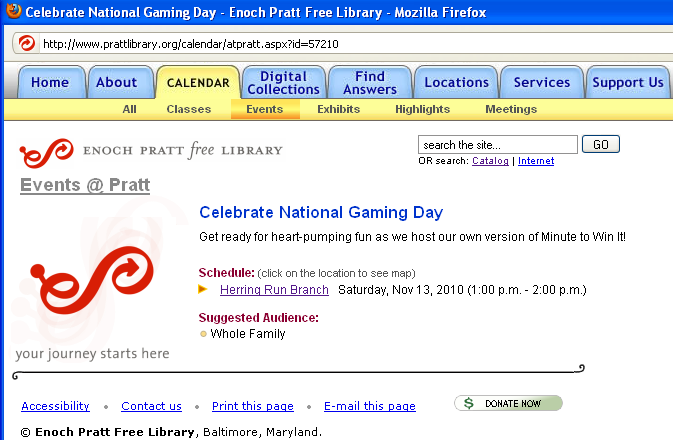 It is called National Gaming Day because it is being held across the country, including Herring Run and Edmonson branches of the Pratt library, according to Poonam Mukherjee of Enoch Pratt. Game players included youth from elementary to middle schoolers. Some sponsors for National Gaming Day are Demco, which sponsored the video games, and North Star games, which sponsored the board games. 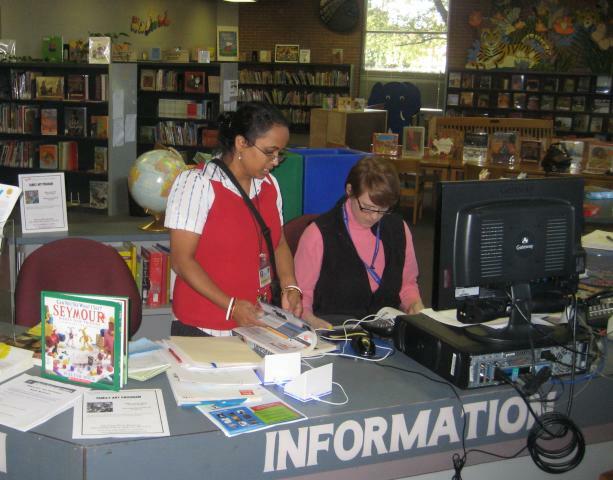 North Star gave out over 1500 game kits throughout the United States libraries.